Bring all of the ingredients to the boil in a pan, stirring constantly. Cover and reduce over a medium heat for approx. 30 mins., stirring occasionally. Remove the cinnamon sticks. Roughly mash the chutney using a potato masher. 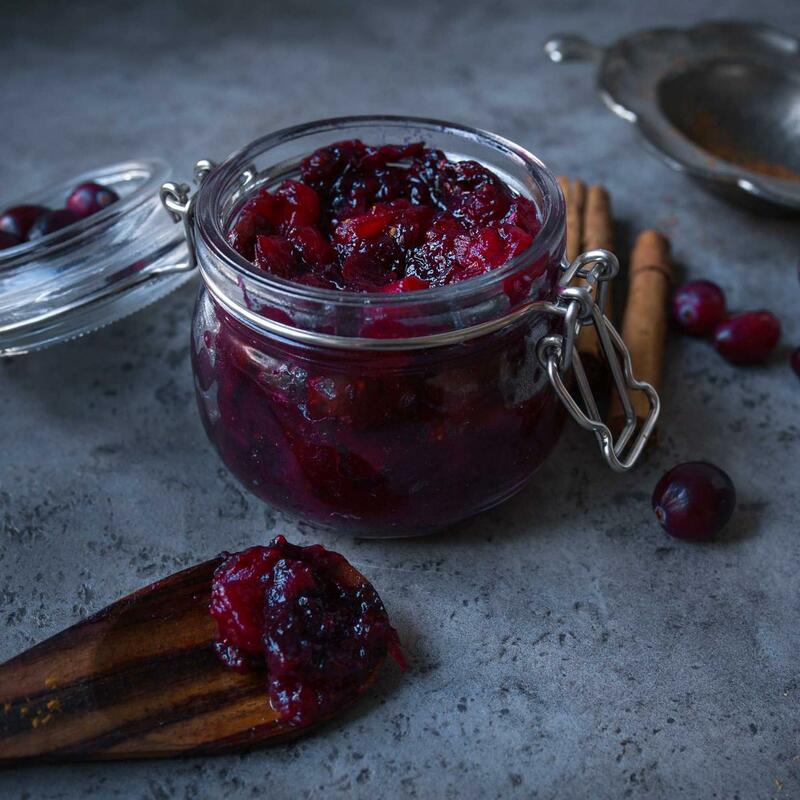 Pour the chutney into clean glass jars that have been rinsed in hot water, seal the jars and leave to cool on a cloth. If you like it spicy, add some fresh chilli.